Welcome to the first ever blog post from your community of south San Antonio apartments! We’ve decided to start a blog series in order to better communicate with our residents. South San Antonio is a fun place to live, and we want to share all the exciting new restaurant openings, coffee shops, community events and more. This week’s blog is all about the best restaurants in the neighborhood. We’ve got burger joints, Tex-Mex restaurants and some upscale bars. No matter what kind of food you've got a craving for, you’ll be able to find it at a restaurant in South San Antonio. 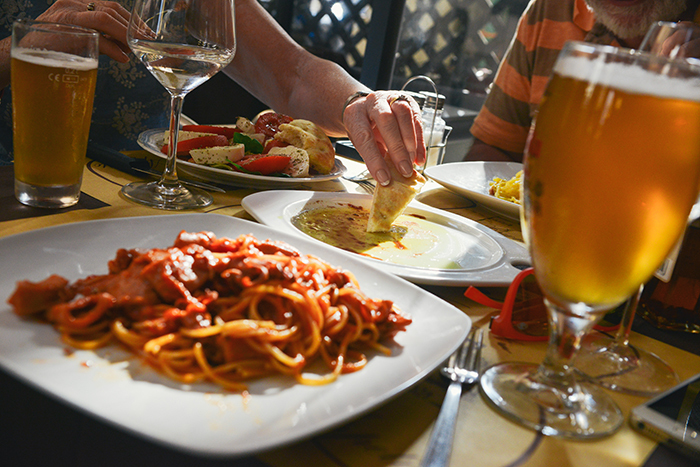 Check out the list of restaurant destinations below, and please be sure to share the link to this post with your friends and neighbors at your community of Southtown apartments. If you’ve got room for both an appetizer and an entree, ask your waiter for an order of the goat cheese and homemade bread. It’s out-of-this-world good. The service is excellent too, which means your drink will be full and your food will come out hot. As for the entrees, we’ve heard good things about the homemade fettuccine and anything with lamb in it. They’ve got lamb sausages and lamb sandwiches, both of which are jam-packed with flavor. Check this place out during happy hour to get half-off appetizers! This is a burger restaurant — obviously — but we want to talk about their fries right off the bar. You simply must get an order of their queso fundido fries, which come topped with chorizo and Oaxacan cheese. These fries are so thick and flavorful, you’ll have to eat them with a fork! Anyway, back to the burgers. This might be the only place in San Antonio where you can get an al pastor burger, so get that! They also have chilaquiles burgers, baja fish burgers, veggie burgers and more. Burgerteca is run by Chef Johnny Hernandez, so look him up if you don’t know who he is! This is a welcoming, warm Tex-Mex restaurant with a wait staff that will treat you right. Rosario's knows how to whip up some enchiladas, and we love smothering them in the famous roasted salsa. Check this place out during happy hour! This is one of the better brunch spots in all of San Antonio, and it’s located right near Southtown Flats! We’re especially fond of their famous WT breakfast, which features eggs, potatoes and candied bacon — all of which are smothered in a thick coat of gravy. This place is also known for having guava mimosas, so be sure to order one of those with your meal. Our favorite dish at Feast would have to be the almond-pistachio french toast. If you’ve never been a big French Toast person, you might find that you like this crunchier, more flavorful version. The restaurant is beautiful and aesthetically pleasing, so be sure to wear your best outfit because you’ll want to snap some pics! With that, we’ve reached the end of our first blog post! Thanks for reading, residents! We hope that this post helps you discover some new restaurants that you may not have been to before. If you enjoyed this week’s post and want to read more like it in the future, please be sure to bookmark this page so you can check it again in a couple weeks! We’ll be back soon with more blog posts, but while you wait, go ahead and follow us on social media. After all, there’s no better way to stay up to date with all the updates and information coming from the community of Southtown apartments San Antonio residents choose for convenient, comfortable living.